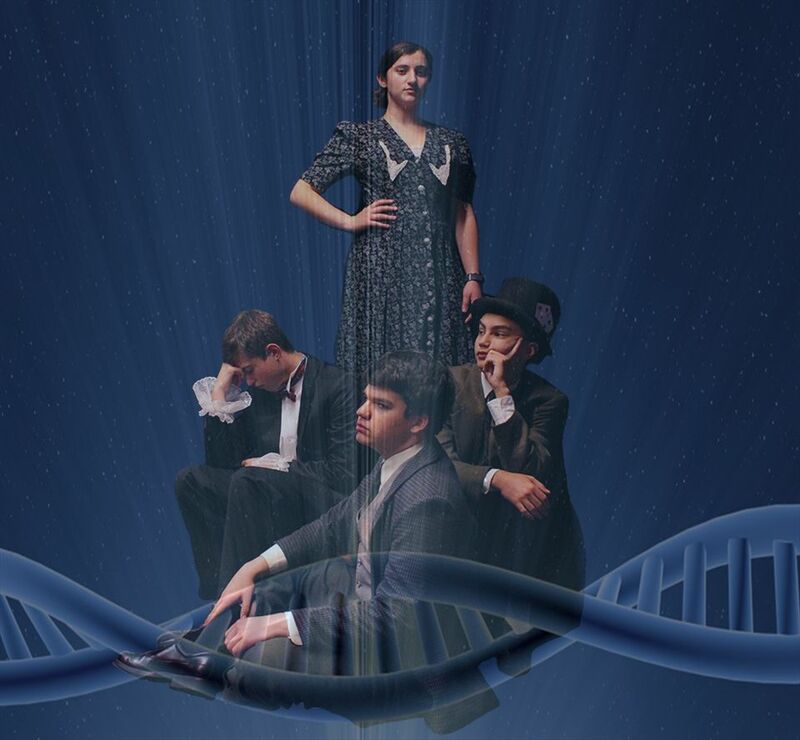 As the Scotland company gets ready for this summer's performances at the Edinburgh Festival Fringe, we asked Tessa Zitter '17, who portrayed geneticist Rosalind Franklin in Alice & the Black Hole Blues, to talk about the challenges of creating a theatrical piece of this complexity from scratch. Our company came across a variety of challenges on the road to Scotland, but I think that the most difficult one was the creative process itself. Almost the entire cast is new to the world of devised theater, which in itself is a difficult concept to wrap one’s head around. As part of a high school theater department, you are used to being handed a script and given blocking and direction. When we started rehearsal we had no script, essentially no plot, and a hazy idea of what the show was even about. We began by learning a new technique called “word-for-word,” which is also the name of the San Francisco theatre company that developed the process. At first, it felt foreign and uncomfortable, but with time, and with guidance from Valerie Weak, who works with Word-for-Word, it became a helpful storytelling tool that we utilized often and with ease. After learning the basics of the technique, we began working with concepts. We did visualization exercises, both to better understand our relationship to our subject matter and to generate material that, although we did not know it then, we would later use. We would be given objects, pieces of text, phrases, or specific instructions (such as “use two instances of complete stillness and one non-human sound”) and told to make a scene out of that framework. It was a new and difficult form of collaboration that challenged everyone in the cast to step outside their comfort zones and trust our cast mates and our own creative abilities. After three months of work, we finally finished a first draft of a full script after spring break. Even then, we essentially overhauled the entire thing more than once and were making changes in text, blocking, and tech up until opening night. All in all, the show was a beautiful monster to create. It is a feat of creativity and collaboration which could not have been achieved without the time, energy, and hard work of an incredibly committed ensemble.